Today’s horror scene that I love comes from the classic 1945 film, The Picture of Dorian Gray. 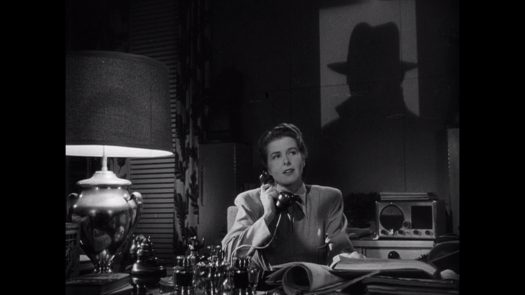 In this scene, Gray (Hurd Hatfield) finally strikes back at the picture that, for decades, has been hiding all of his sins. You can read my full review of The Picture of Dorian Gray by clicking here! Producer/director Roger Corman finally cut ties with American-International Pictures after they butchered his apocalyptic satire GAS-S-S! 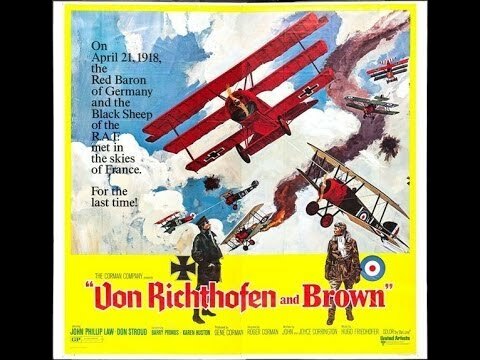 Striking out on his own, Corman’s next movie was VON RICHTOFEN AND BROWN, a World War I epic about famed German aerial ace The Red Baron and the Canadian pilot who shoots his down Roy Brown. There are grand themes, as Corman sought to make a statement on the futility of war, the end of chivalry, and the mechanized savagery of what was to be “the last war”. 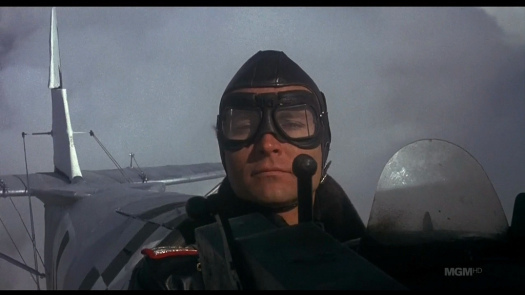 The film looks good, shot in Ireland, with exciting aerial footage, but despite all the outer trappings VON RICHTOFEN AND BROWN is still a Corman drive-in movie. Hello and welcome to the start of TSL’s annual October horrorthon! All through the month of October, our focus will be on horror. We will be sharing reviews and thoughts on some of the best (and worst) horror films ever made! I have to admit that this is my favorite time of the year. I love horror … like all good people! 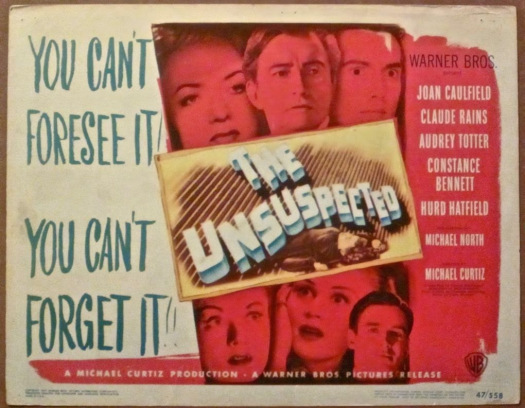 I want to start things off by taking a look at a film from 1945. The Picture of Dorian Gray is based on the famous novel by Oscar Wilde (a novel that some people think was inspired by the Jack the Ripper murders). Dorian Gray (played by Hurd Hatfield) is a young and handsome aristocrat who lives in 19th century London. When we first meet him, Dorian is intelligent, kind and virtuous. He’s also more than a little boring. He is the bland face of the establishment, a man destined to be celebrated for his position in society and largely forgotten after his death. Now, here’s where the film takes a huge departure from Wilde’s novel. In the novel, the painting ages while Dorian stay young. No specific reason is given. Instead, it’s just something that happens. In the film, it turns out that Basil owns an ancient Egyptian statue and that the statue has mystical powers. Dorian makes his wish in front of the statue and that’s why the painting starts to age. Personally, I think the bit with the Egyptian statue is unnecessary and a little bit silly. To me, the story is a lot more effective if the painting starts to age without an explanation. The filmmakers obviously disagreed. But no matter! In the end, the Egyptian statue isn’t that important. What is important that, freed from getting old or physically suffering for his actions, Dorian transforms into a different person. Soon, he’s even more hedonistic than Lord Henry. When he breaks the heart of a tragic singer named Sybil Vane (Angela Lansbury, in a poignant and Oscar-nominated performance), Dorian sees that the painting is now cruelly smirking while his own face remains innocent and untouched. When Dorian eventually commits a murder to keep his secret from getting out, the blood appears on the painting’s hands while his own remain clean. The Picture of Dorian Gray is an absolutely gorgeous film, one that is full of elaborate sets that are often cast in shadow. (It’s interesting to note that the more corrupt Dorian becomes, the darker and more shadowy his estate becomes.) The film is in black-and-white, with the exception of three scenes in which the portrait is revealed in all of its Technicolor glory. If that sounds like a gimmick … well, it is. But it’s an amazingly effective gimmick. The Picture of Dorian Gray is a classic exercise in psychological horror. See it the next chance you get! Today’s Horror on the Lens is The Norliss Tapes, a 1973 made-for-TV movie that was also a pilot for a television series that, unfortunately, was never put into productions. Reporter David Norliss (Roy Thinnes) has disappeared. His friend and publisher, Stanford Evans (Don Porter), listens to the tapes that Norliss recorded before vanishing. Each tape details yet another paranormal investigation. (Presumably, had the series been picked up, each tape would have been a different episode.) The first tape tells how Norliss investigated the mysterious death of an artist who apparently returned from the grave. For a made-for-TV movie, The Norliss Tapes is pretty good. It’s full of atmosphere and features a genuinely menaching yellow-eyed zombie monster.